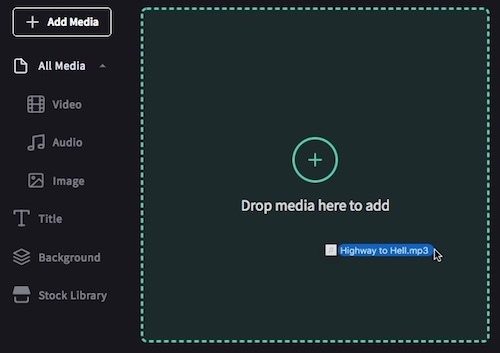 To add music or sound effects to your Create project, you can either use the Add Media button, or drag and drop the file from your computer into the media area. See below for images and instructions. If you would like to add audio from the stock library instead, please see: Adding stock music and audio. 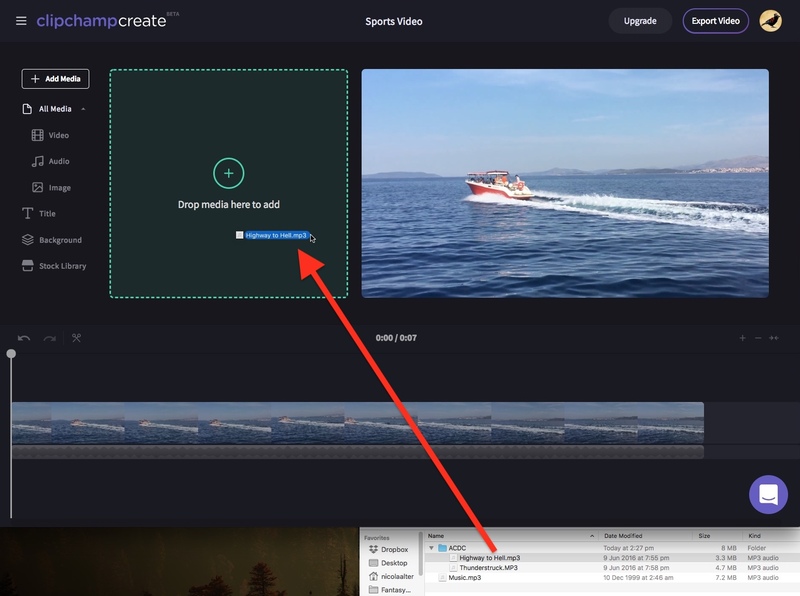 Create doesn't currently support the recording of audio using your computer's microphone, however we are working on adding this feature. 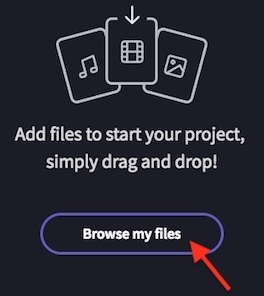 Then click Browse my files, and choose a file from your computer. Click Open. The audio file will now appear in your media library. To start working with the file, add it to the timeline (see below). 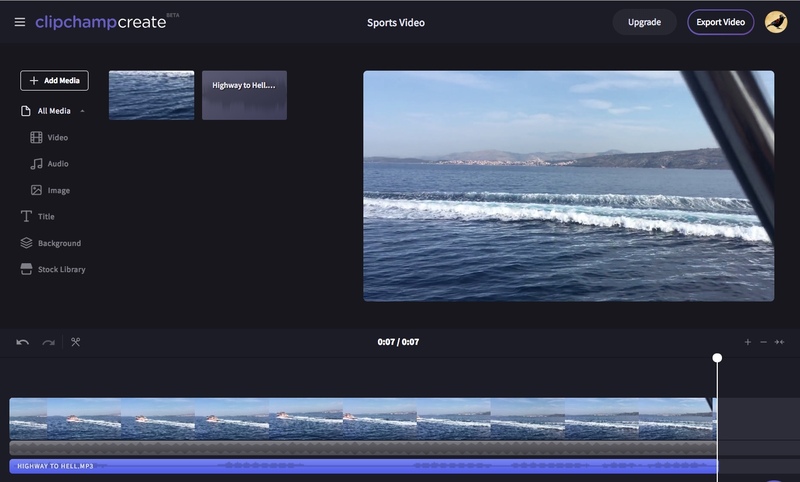 Once the new audio file appears in your media library, drag and drop it into the timeline below your video track. A new audio track will appear with the file in it. 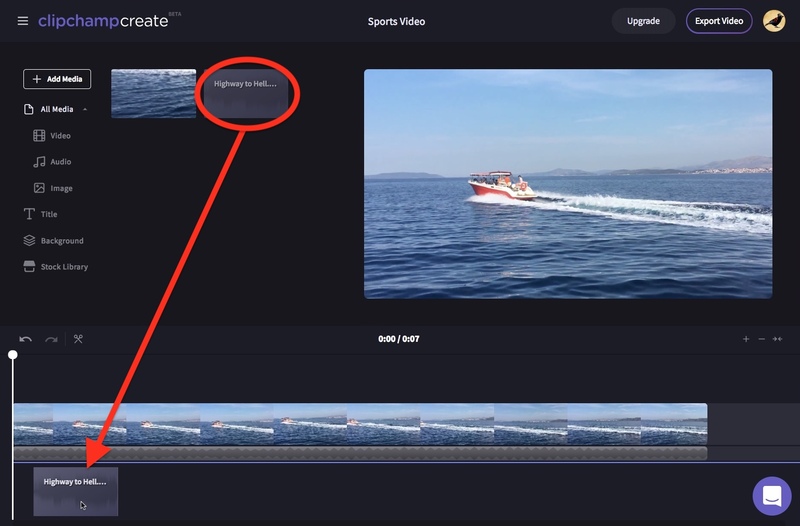 You can move, split or trim the audio clip to fit the length of your video, or adjust it to your preferred length. 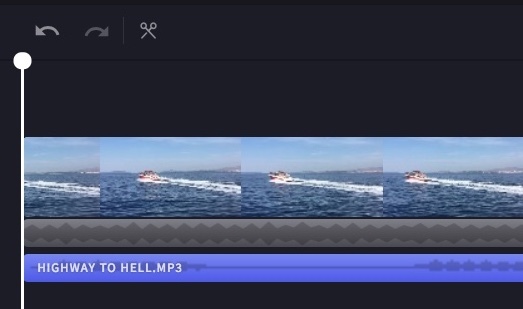 For example, in the below example we've zoomed out, moved the white cursor where the video ends, clicked on the audio clip (so it's highlighted), and then clicked split (the scissor icon in the top left). Then we clicked on the remaining part of the audio and hit the delete key to delete it. Now the audio will only play until the end of the video.